Trouble Getting Approved in Minnesota? Summary of Minnesota Usury Law(s) / Quote: "Legal: 6% / Contract: 8%; 10.08% business loans under $100,000; any rate agreed in writing over $100,000 / Judgment: rate on judgments is based on current average yield on U.S. Treasury bills with one-year maturities. State court administrator determines the yearly rate by December 20 of each year / Corporate: No specified rate"
Legal Maximum Interest Rates: Quote: "6% legal rate; written contract up to 8% (§334.01)"
Usury Penalties: Quote: "Contract for greater interest void (§§47.20; 334.03); payor may recover full interest and premiums paid with costs (§334.02); usurious interest by banks, savings and loans and credit unions results in forfeitures of all interest and payor may recover twice interest paid (§48.196)"
Judgment Interest Rates: Quote: "Determined on or before December 20 of prior year by state court, administrator based on secondary market yield (§549.09)"
Legal Exceptions: Quote: "State banks & savings associations (§48.195); state credit union (§52.14); dealers under Securities Exchange Act (§334.19); mortgage loans (§47.204); business and agricultural loans (§334.011). Plans subject to provisions of Employee Retirement Income Security Act of 1974 (§334.01); loans secured by savings accounts (§334.012)"
Mathew is retired and lives with his daughter. She has two children and between them they make ends meet. Neither has a great deal of money and their combined income allows both of them to live a comfortable life. His daughters husband left a few years ago and does not provide any support to the family. Mathew has a small pension income which helps him get by. He would like to borrow $5000 to purchase another used car. The one they have, needs a lot of repairs and they feel that it is just not worth it to spend any more money on this car. Mathew is pretty handy, however the repairs needed on the car are beyond what he can accomplish. Another car is really needed. They would be co-owners of the car and both would be insured to drive the car. His daughter takes the bus to work while he drives the kids to school and picks up the kids from school every day. On non-school days she will probably drive the car to work. They really need to have a car to run errands and any number of short trips around town. They do not owe money for any other debts and neither have a credit card. Both have their own checking account and they also have average credit scores although there is not a great deal of history indicating that they would be committed to repaying this loan. Mathew would like a $5000 loan with a three year term so that the monthly payments will not be too large. Mathew and his daughter are making the best life they can for each other and her kids. They do not have a lot of income, but the really great thing for them is that they do not owe any money or have any other debts. He would like to borrow $5000, however he clearly does not make enough money to support the loan payments. Lenders are looking for income levels where their debt load is less than 35% of their gross income. Based on his income Mathew does not meet this criterion. If they combine their income they would meet the 35% criteria. Both Mathew and his daughter would have to jointly apply for the loan and they would have to both sign for the loan. In other words, they are both liable to repay the loan regardless of whether one can no longer make payments. This will be a personal loan both will be obligated to repay. Also if one of them reneges on the loan, misses a payment etc., both credit reports will be impacted. Even with another vehicle there will still be repairs and maintenance expenses that will be needed. Mathew and his daughter are discussing what their next steps are and whether they should jointly apply for this loan so they can replace their current vehicle. 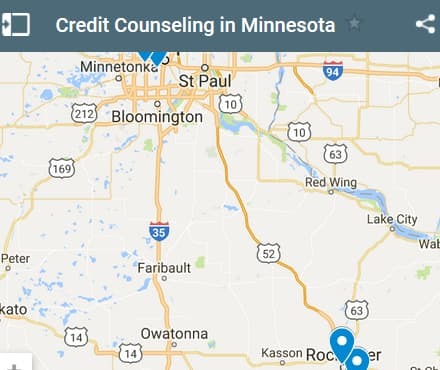 If you live in the State of Minnesota and you're struggling to get a loan approval with a bad credit rating we hope our website helps you in some way. 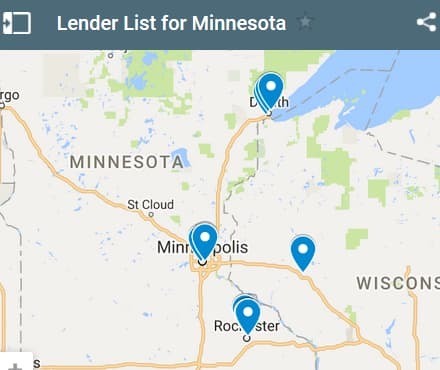 Last 5 service loans approved in the State of Minnesota. Source: WFL Lender Pool. Updated Weekly. Principals rounded to the nearest $1000. Relative interest rates listed below in order left to right. In the state of Minnesota lenders must follow the legal guidelines for lending because unlike many other states, the law is rigorously enforced. This is good for consumers because they have less chance of being scammed by predatory lenders. This doesn't mean you should just close your eyes and sign a contract with the first debt consolidation provider you come across. Why? Just because the provider is conducting business legally doesn't mean their conducting business ETHICALLY. Two very different things. You need to make sure there isn't any fine print that tricks you in to a high interest rate - for example, balloon payments. Ted and his wife just got married and have a long term plan to purchase a home together. They both brought a little bit of debt into their marriage and spent some more while getting married. They had a really nice wedding. They went to one of the islands in the Caribbean and were married there in front of several close friends and family. Before they purchase a home they want to pay off all of their debts and save a down payment for the home. They want to do both within the next three or four years starting with eliminating all of their debt. They have a plan and they are focused on making it happen. They feel the best approach is to apply for a debt consolidation loan which will accomplish a couple of objectives. First it will consolidate all of their payments into one loan payment each month. Secondly it will minimize the interest they are paying on the debt. The loan interest rate should be well below 10% which is much better than the 21% they are currently paying on their credit card debt. And thirdly they want to repay their debt as quickly as possible, which means they want a loan with a two year term. They need $7500 to consolidate all of their current debts. They are also going to start saving towards a down payment for a home they want to purchase. Once the loan is repaid they will add the monthly payment amount they were paying on the loan to their savings plan and build up the down payment much more quickly. Ted and his wife certainly do have a plan and it is a good one. They could apply for a mortgage even if they are carrying a small amount of debt like this loan, however without a down payment they really cannot consider a home purchase at this time. By paying off the loan quickly and focusing on saving a down payment they should in three or four years have enough for a down payment if they keep to their current plan. They each have a car, which are free and clear and they have no other debts. They both work and have descent paying jobs. Their cash flow each month will easily support this loan payment and actually more if they wanted a larger loan. Buying a home is something they both want and they are both in agreement that this should be their primary objective. They plan to enjoy life within their budget and not splurge on nice to have things. They will probably eat out once per week and their holidays will be going camping and doing things that do not cost a lot of money. With their plans and lifestyle, Ted and his wife should really achieve their objectives with no problems at all assuming there are no life challenges in their future. 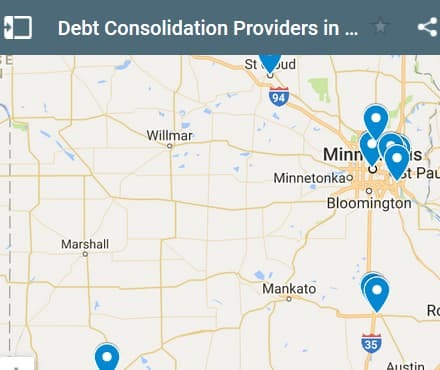 If you live in the State of Minnesota and you're trying to get approved for a debt consolidation loan, we hope our website helps you find a good lender regardless of your credit rating.